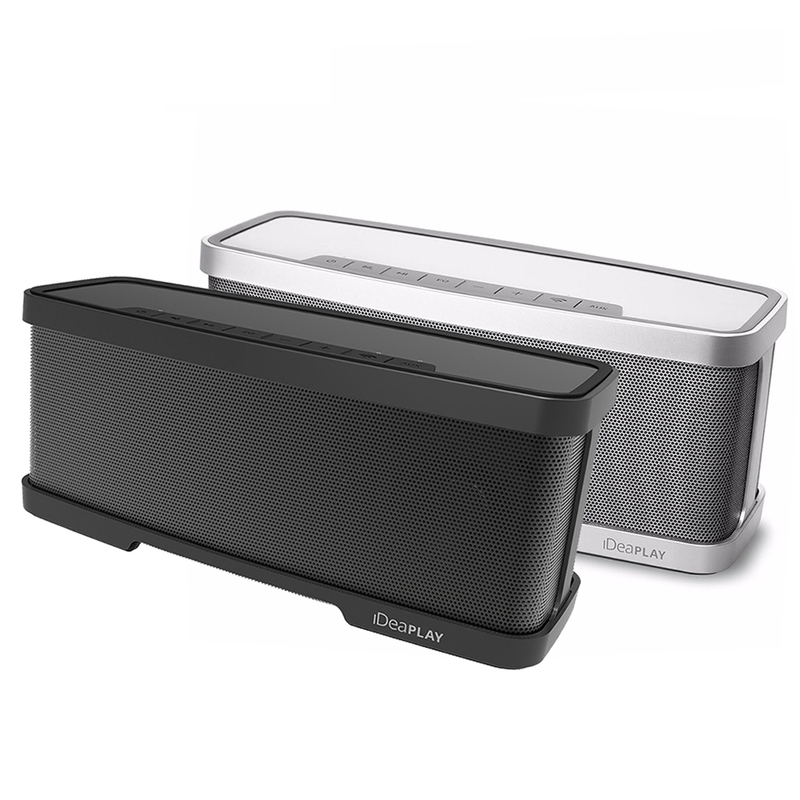 Why choose Our Bluetooth Speakers? Impressive sound with Powerful 20W, dynamic 2.1 channel sound delivered by 2x 5W drivers, 1x 10W subwoofer and 2x passive radiators; Featuring onboard equalizer with 2 modes for music lovers-Classic indoor & Party Outdoor; Featuring efficient rechargeable battery for longer playback to 10 HRS and Wirelessly up to 33 feet; Exceptionally convenient, 1 Year Warranty. Audio tuned for impressive sound from a compact, portable body. Dedicated 10W subwoofer with 2x passive radiators for precise low frequency performance. Bluetooth 4.1 technology with up to 33 feet/10m wireless range. Built-in high capacity 4,000mAh lithium rechargeable battery supporting 10 hours playback. In-built microphone with 6th generation CVC noise reduction for clear call quality. -You can pay using Visa, MasterCard, QIWI, Maestro, WebMoney, Boleto and bank transfer. More payment options will be available on AliExpress in the future. – We chose Aliexpress Standard Shipping as default shipping method. – For most of countries, we can declare a lower value, if you choose DHL shipping method, please tell me the declared value. – We provide 1 year warranty, if products have quality problem, you can return for exchange / repair. – If you receive broken product doesn’t work or not as sedcribed, please send me true photo or video. – Please contact us if you have any question about products or service, we will response you in 24 hours. – Please don’t open dispute before contacting us, we will try our best to solve problem. – Please don’t leave any bad feedback or open dispute before contacting us, we will solve problem in friendly way. – Please leave 5 star feedback if you are satisfied with our products and service.